This was a rather short flight, with a flying time of only 1 hour, so I'll try and let the pictures do most of the talking! 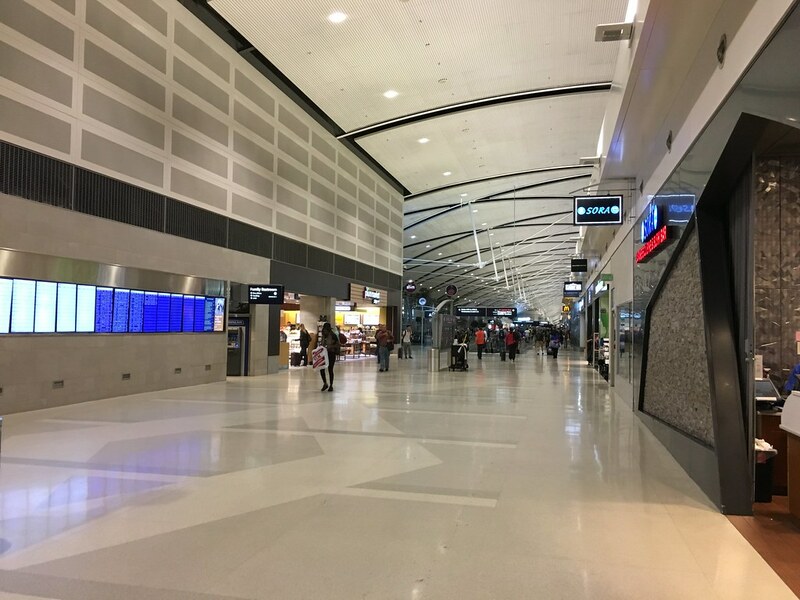 I booked a cab operated by Lyft from Farmington Hills, MI to Detroit’s Wayne County International Airport in Romulus. 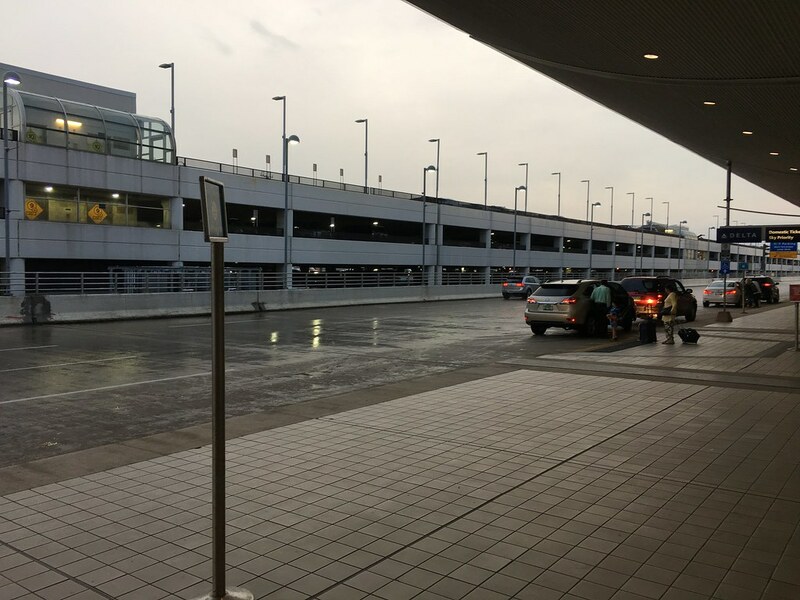 Booking cabs on Lyft is one of the ways you get points on Delta’s Skymiles Frequent Flyer program; you earn 1 mile per every dollar spent on a Lyft ride. With the monsoon being pretty intense thus far, the skies were overcast. Dark gray clouds were everywhere and prospects of a smooth ride looked grim. 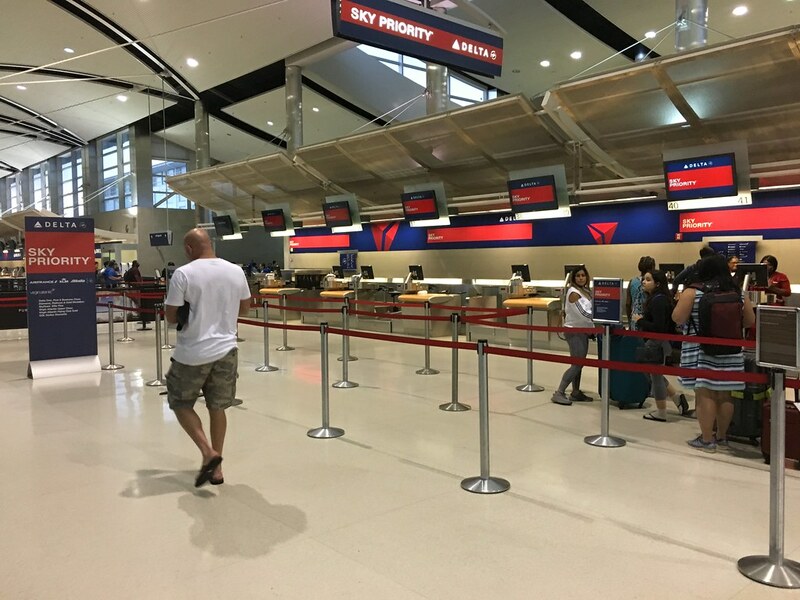 Delta along with it’s partner airlines operates flights out of the DTW’s newer Edward McNamara terminal. 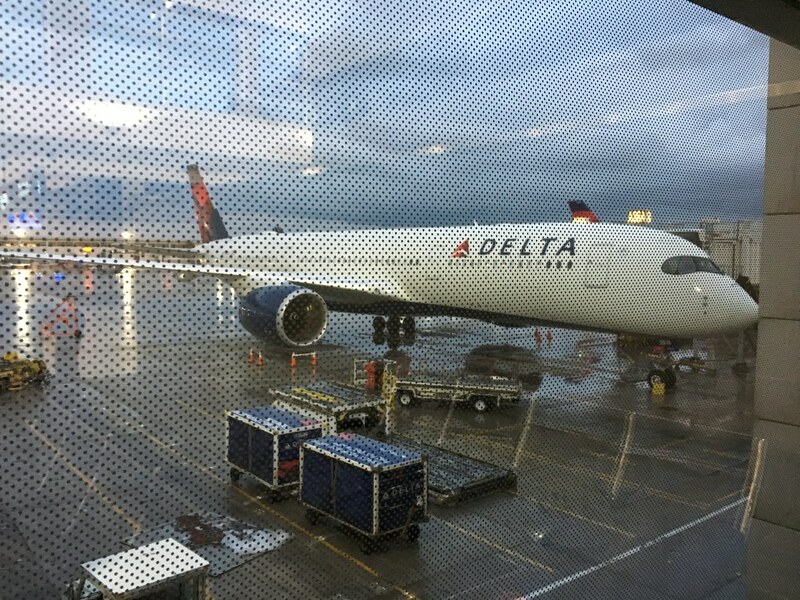 The terminal has a 1.6km long Concourse A, and a smaller “satellite” concourse B serving Delta Connection flights. 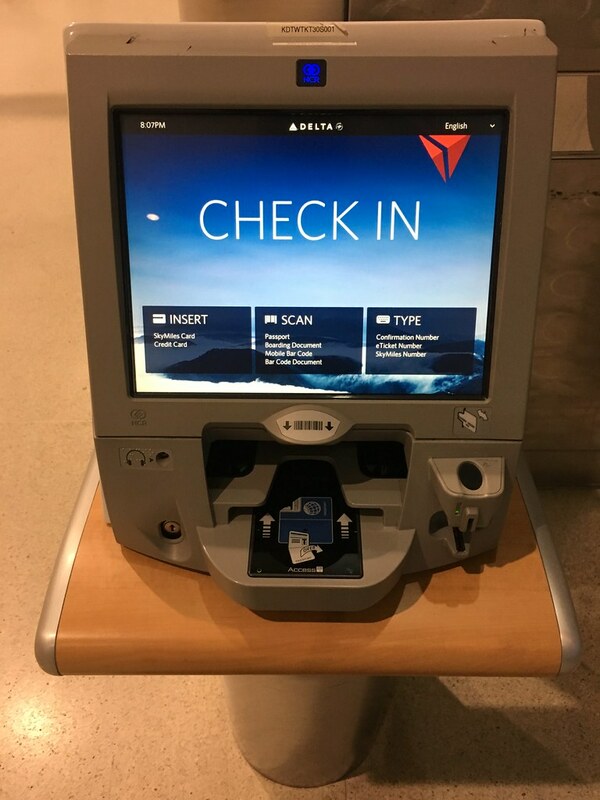 With no bags to check in, I headed over to a kiosk to print my boarding pass. The TSA security check was one level below the departure/check-in area. The agents were efficient, and the fairly large crowd was processed quickly. A box of Haldiram’s Soan-Papdi that I had bought for my friend triggered the alarm on the X-Ray machine. An officer took the bag away for secondary inspection, and that set my heart racing. Mentally, I was prepared to forgo the box, but the friendly officer ran a swab through it, put it through a machine and said it was ok for me to take it along. 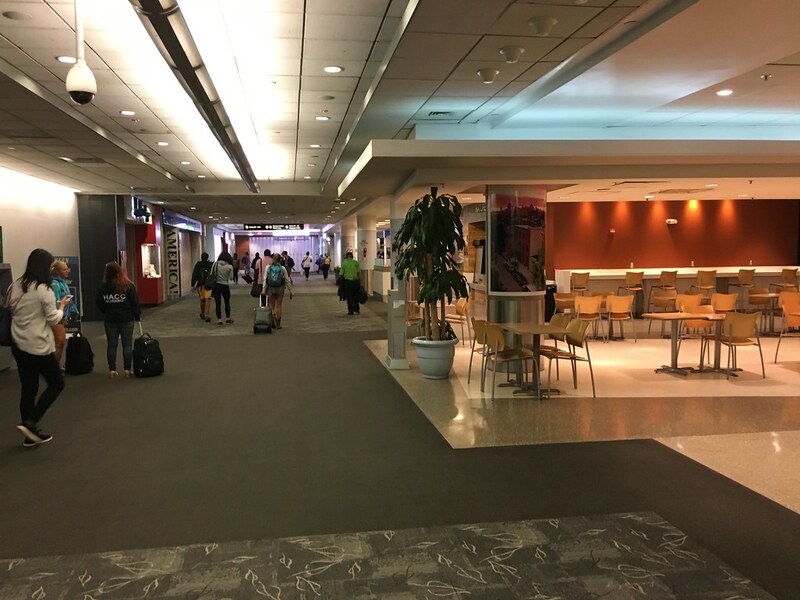 With security done, I walked towards concourse A.
Owing to the length of the terminal, the airport operates a train running from one end of concourse A to the the other. My gate, A2, was in the far eastern end of the terminal and I decided to try the train. 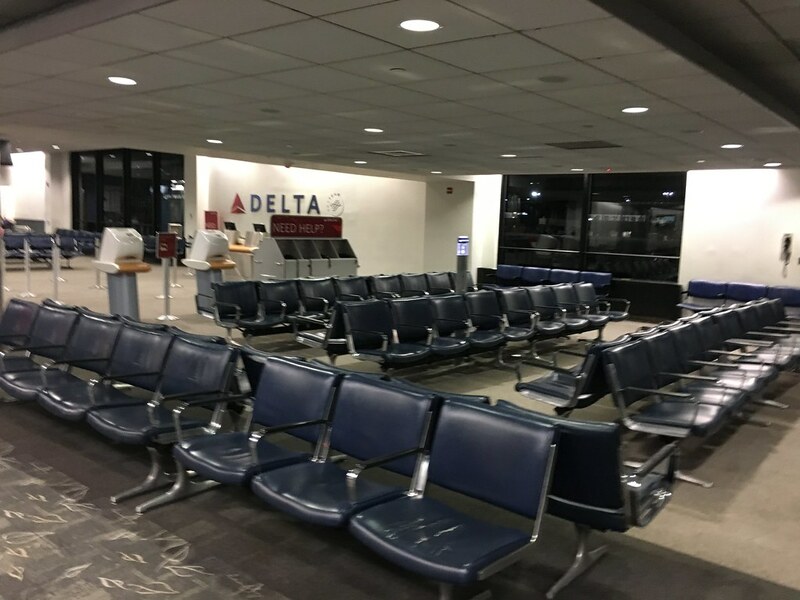 The gates at the eastern end were quiet, Delta had a few departures: DL2745, a Boeing 737-800 service to Raleigh, North Carolina, DL2576 to Phoenix were a few. With around an hour to go for departure, the captain and first-officer were at the Gate, which had been hanged to A3. 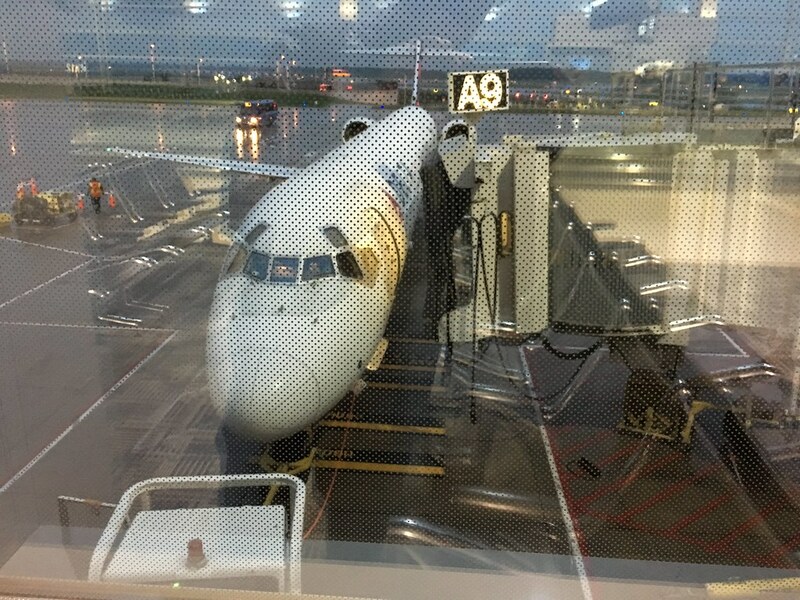 The flight to Baltimore was to be operated by N380DA, a 19 year old Boeing 737-800. 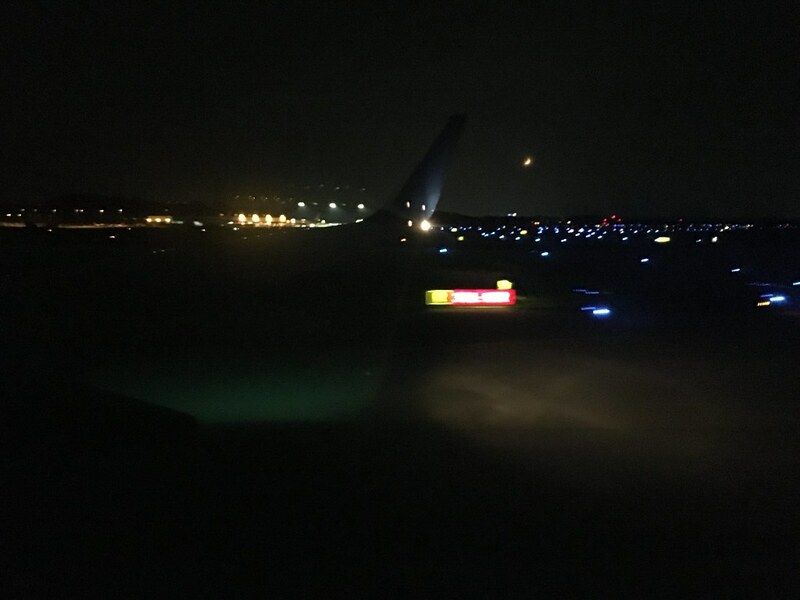 The aircraft flew in as DL1634 from Baltimore & was at the Gate around 21:15 EDT. 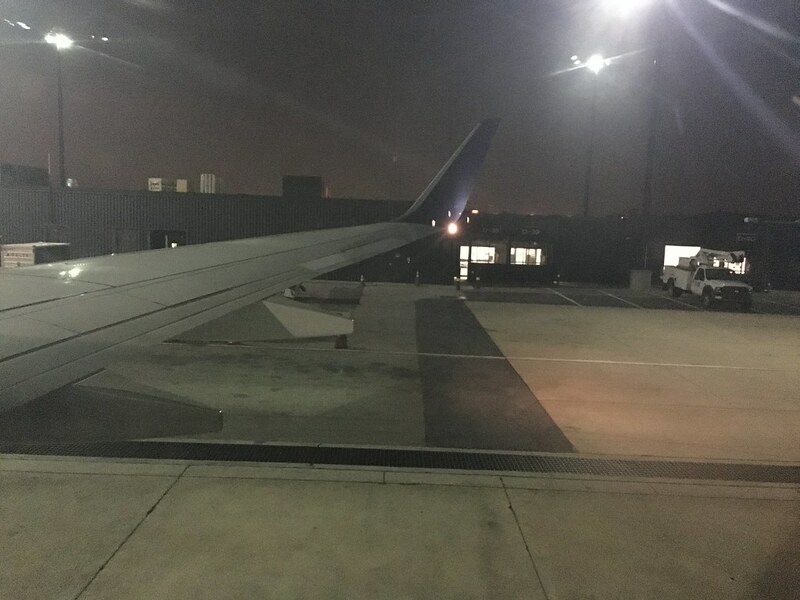 Last minute gate assignments were being issued, and from the looks of it, the flight seemed full. Boarding was announced at 21:30 EDT starting with first class and Delta Medallion members, followed by economy class. 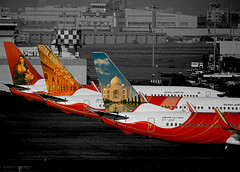 I boarded the aircraft in Zone 4 as did other passengers who booked a Basic Economy fare. On the Aero-bridge, countdown in progress! The aircraft could’ve been a lot cleaner than it was, there was a sock under my seat, not to mention pieces of peanuts here and there, and an orange peel, presumably from the previous flight. 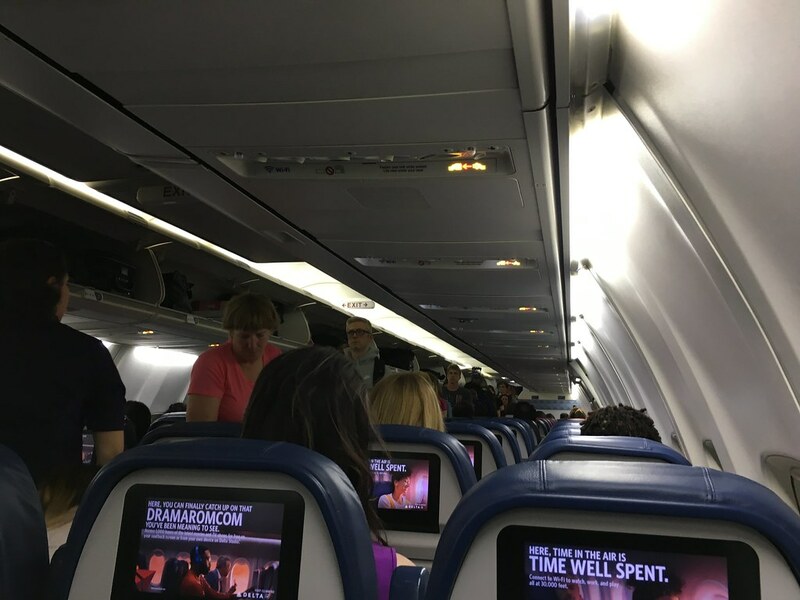 Most of the overhead bins were full and passengers who boarded the aircraft later had some trouble finding space to store the luggage. 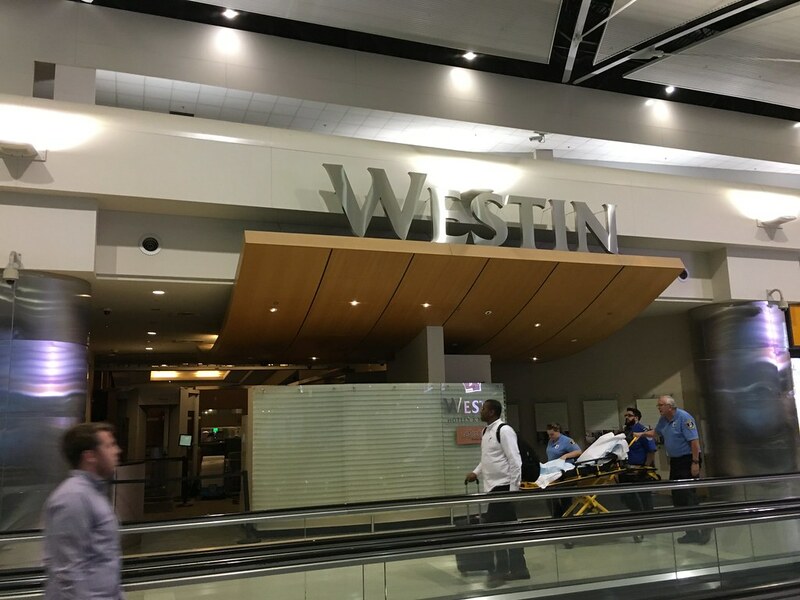 The Detroit based flight crew were extremely helpful in this regard and helped passengers quite cheerfully. 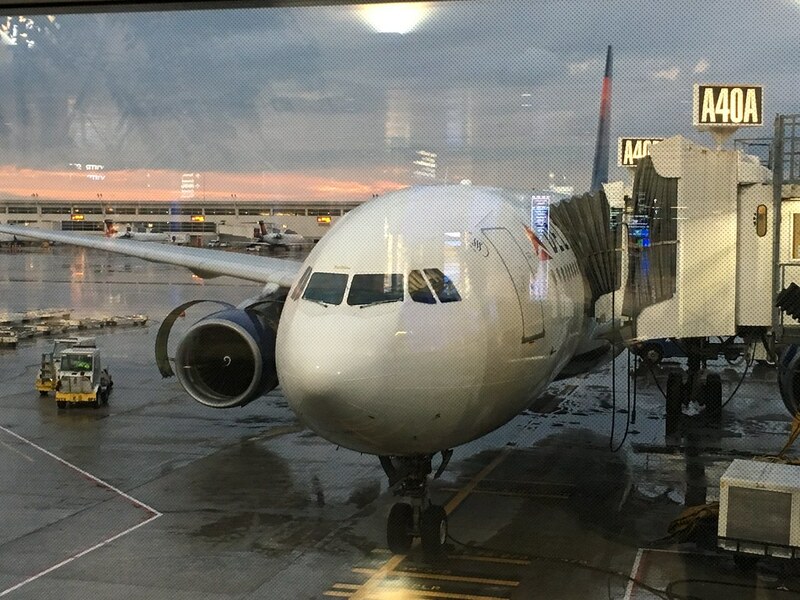 The captain then made his pre-departure announcement from the flight deck: The flight to Baltimore would take 1 hour, there was some cloud cover over the Baltimore area and rain showers while flying out of Detroit. Perfect ingredients for a bumpy ride. The boarding process took a while as a few passengers connecting to Baltimore from other flights were delayed, all due to the weather. 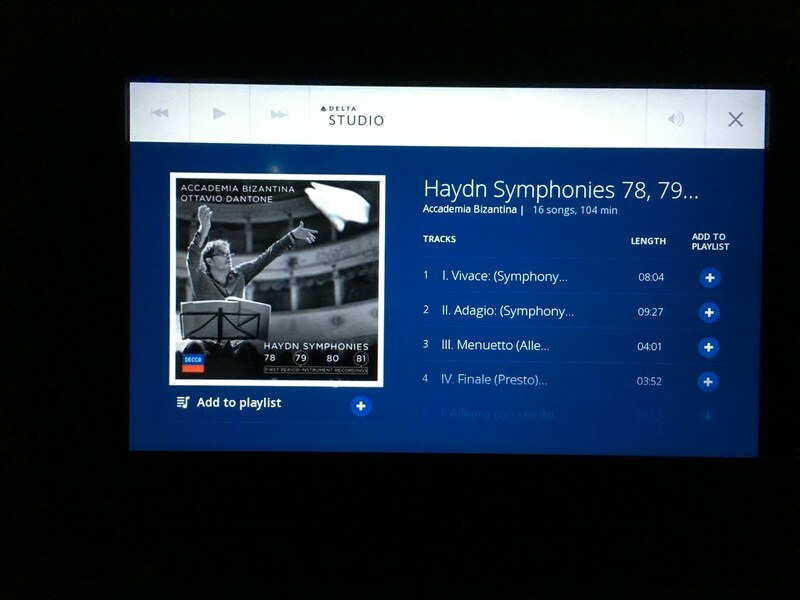 The aircraft had in-flight entertainment screens, which was wonderful, even though this was a very short flight. The safety video, an interesting one, was then played. 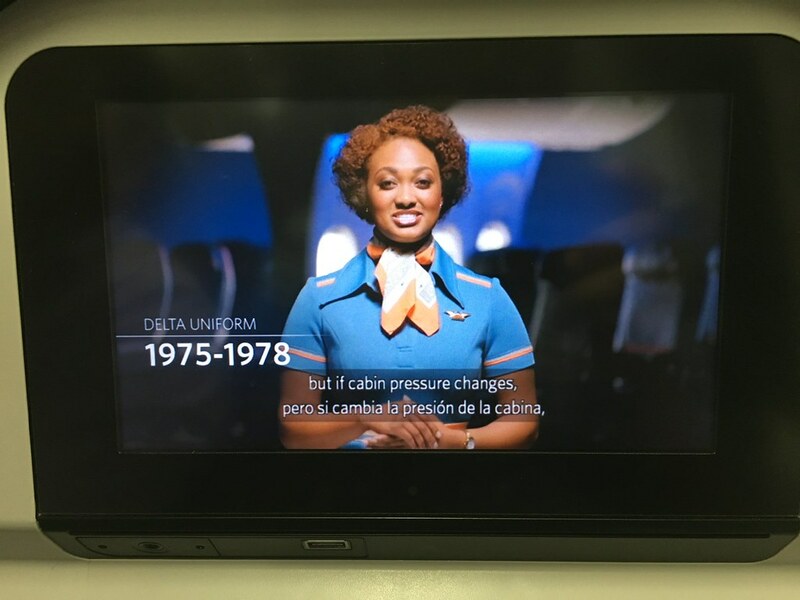 Delta has changed the uniform of their cabin crew, and different sections of the video featured the various crew uniforms, right from the inception of the airline to the most recent one. 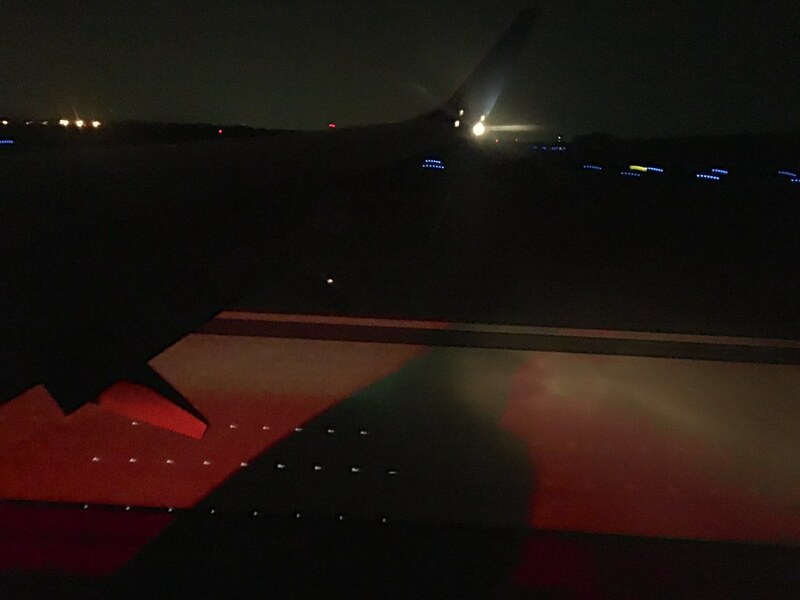 As the video was played, we were pushed away from Gate A3 at 22:15 EDT and the CFM engines were powered up. 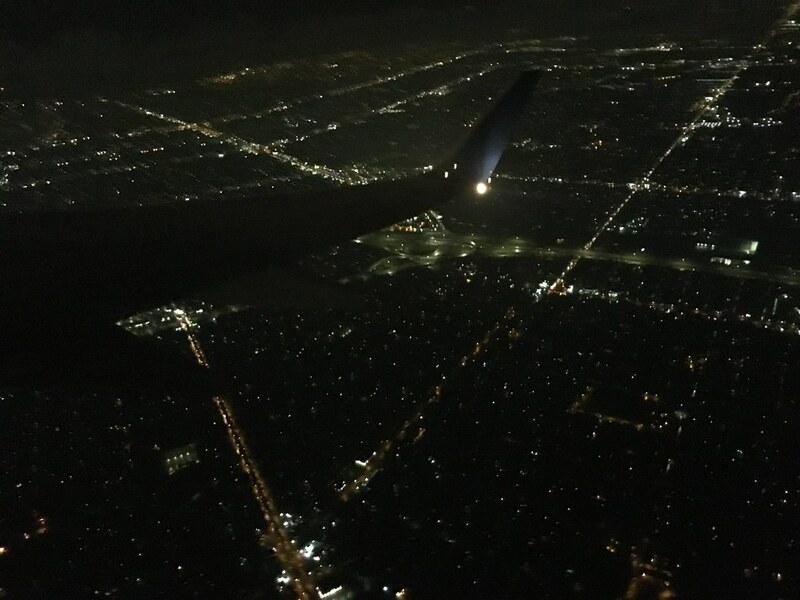 The aircraft also had in-flight WiFi. The basic option of the WiFi service was free and allowed you to send text messages. The other paid options allowed audio and video streaming as well. 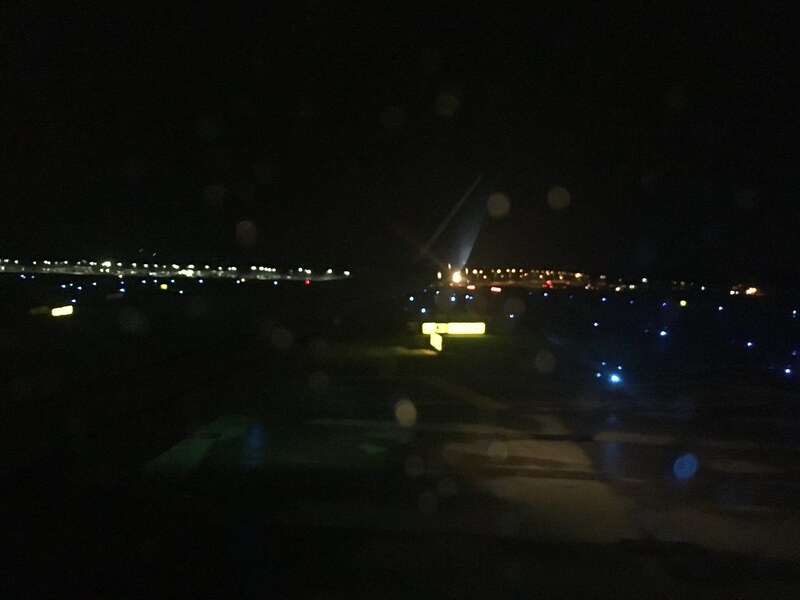 After a 10 minute taxi, past the de-icing bay, we lined up with Runway 3L for takeoff. 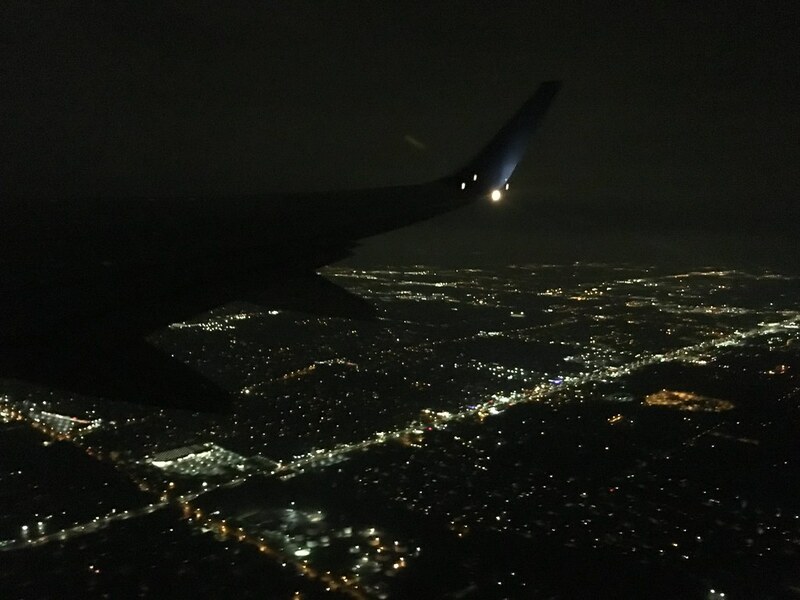 Takeoff was extremely smooth, and offered some wonderful views of Detroit. 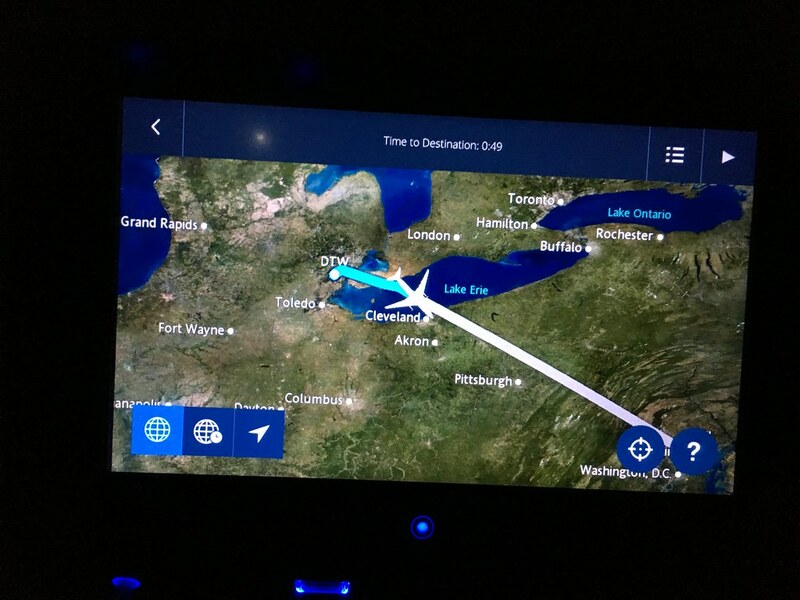 We turned right heading east towards Lake Erie after take-off. 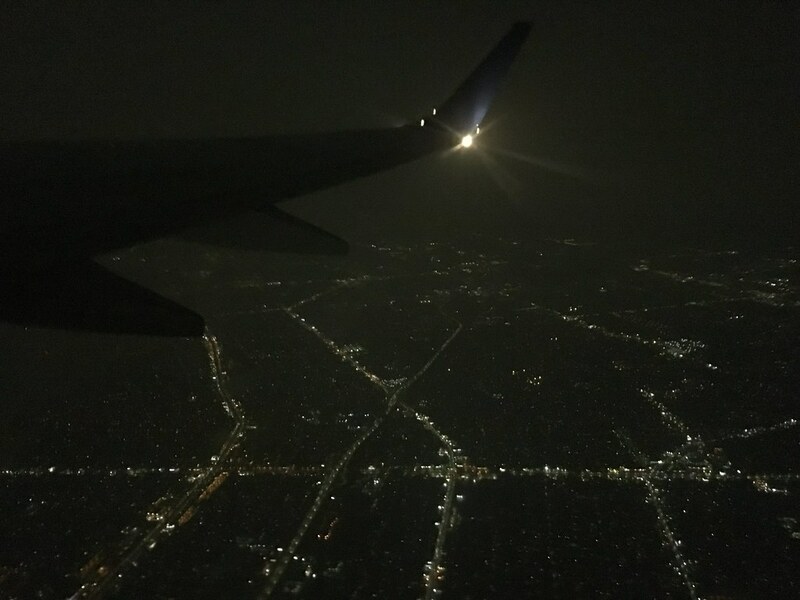 There was some pretty heavy turbulence as we made our way to cruising altitude flying through those monsoon clouds. As we bounced along to our cruising altitude of 30,000 feet, I looked at what the in-flight entertainment had to offer. There was a decent collection of movies, audio albums, Live-TV and several TV shows. I was not really in the mood for anything so I just stuck to an audio album and the flight tracker. 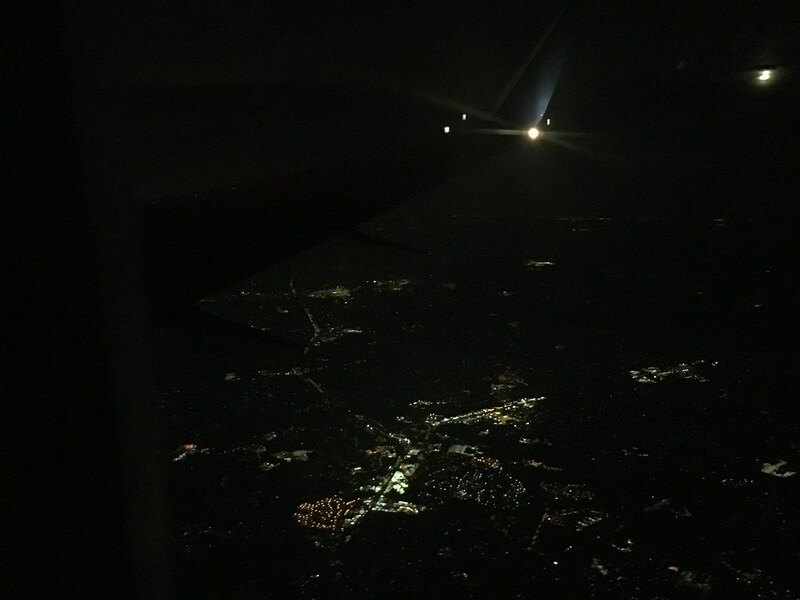 Once we were at around 20,000ft there was an announcement from the lead cabin crew that there would be no snack & beverage service on this flight as we were flying through rough air and the seatbelt signs would stay on until we reached Baltimore. I decided to try an album from the Classical music section, very soothing indeed. Was very pleasant to listen to! 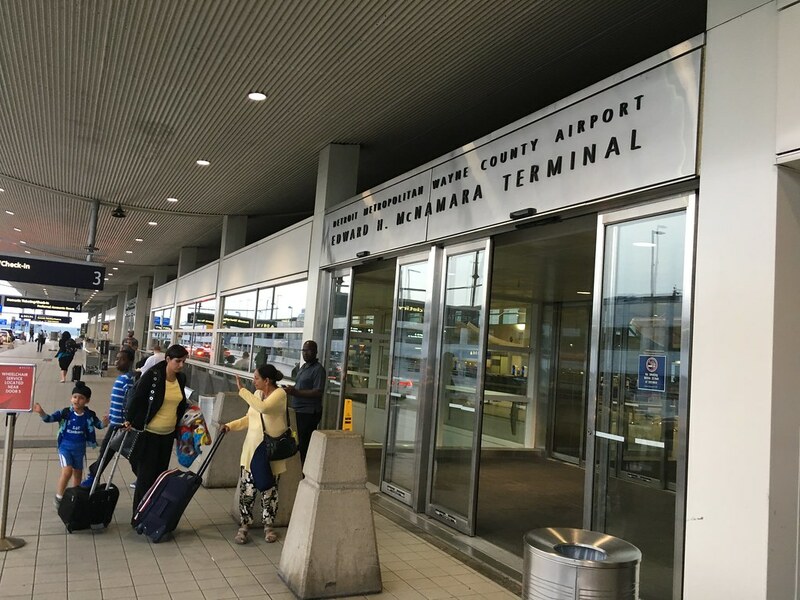 With around 30 minutes to go, there was an announcement from the flight deck informing all on board that we would be landing at Thurgood Marshall Airport soon. 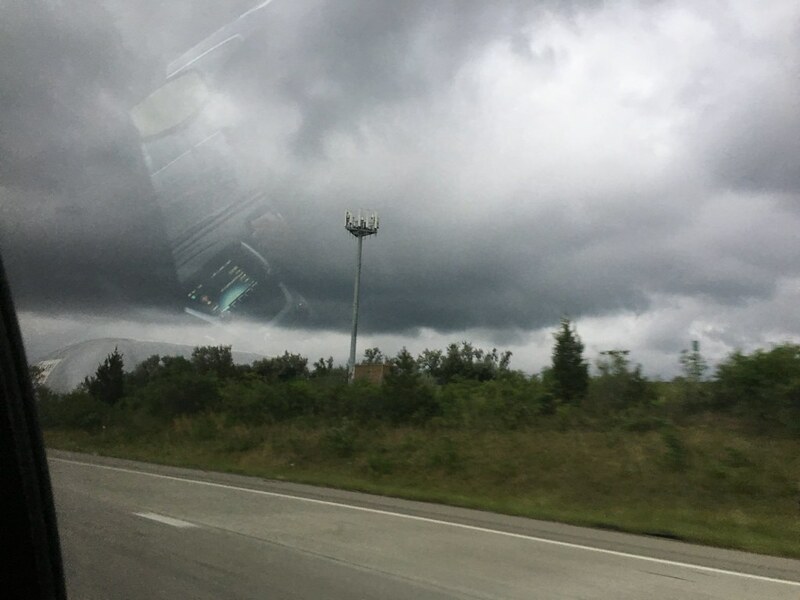 The weather around the airport had eased off quite a bit, the skies were expected to be clear. The cain crew went around the cabin quickly for a once over, holding on to the overhead bins for support. 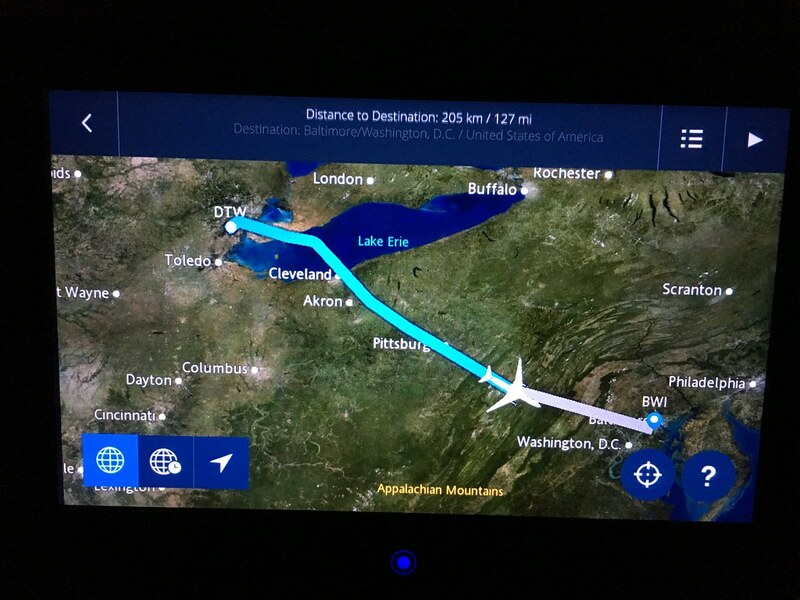 The descent into Baltimore was anything but smooth. 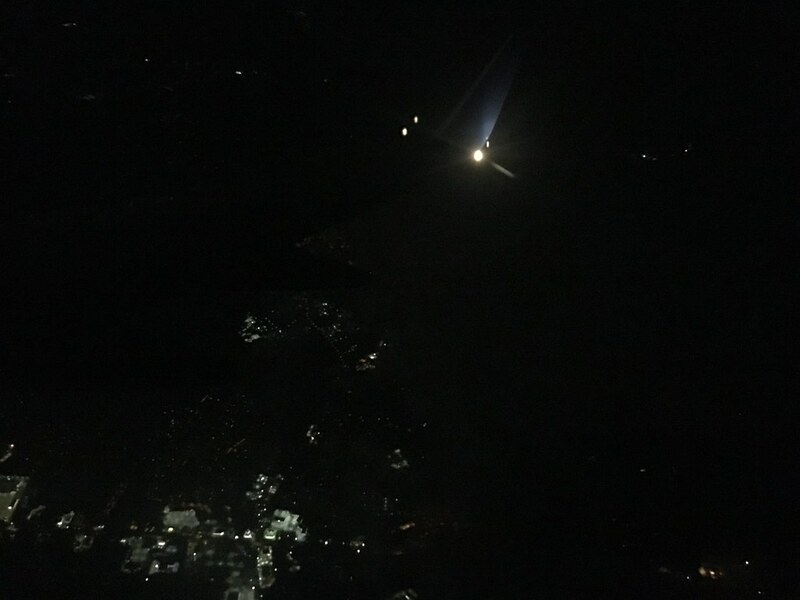 It was very cloudy to the west of Baltimore, from where we had started descent and turbulence was very heavy, worse than it was when took off from Detroit. 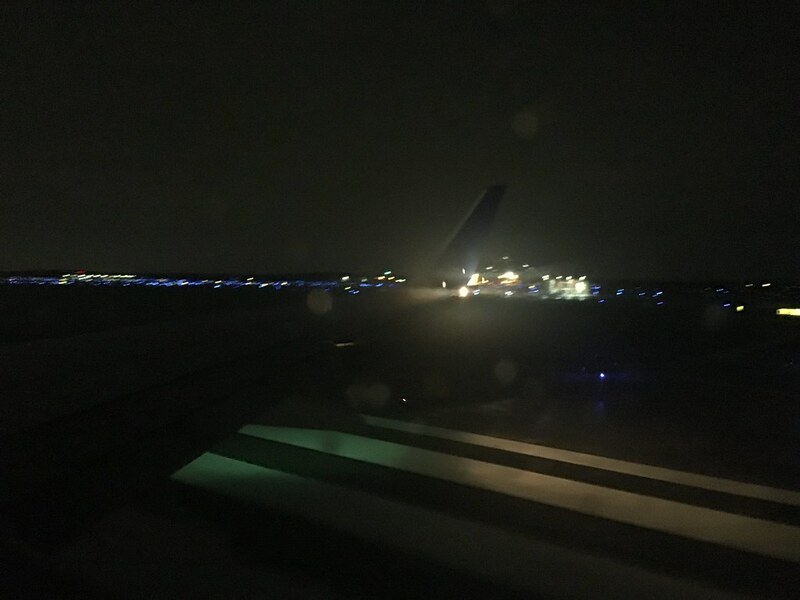 Credit to the pilots for flying us safely through all the weather! Things got much better as we got closer to Baltimore. 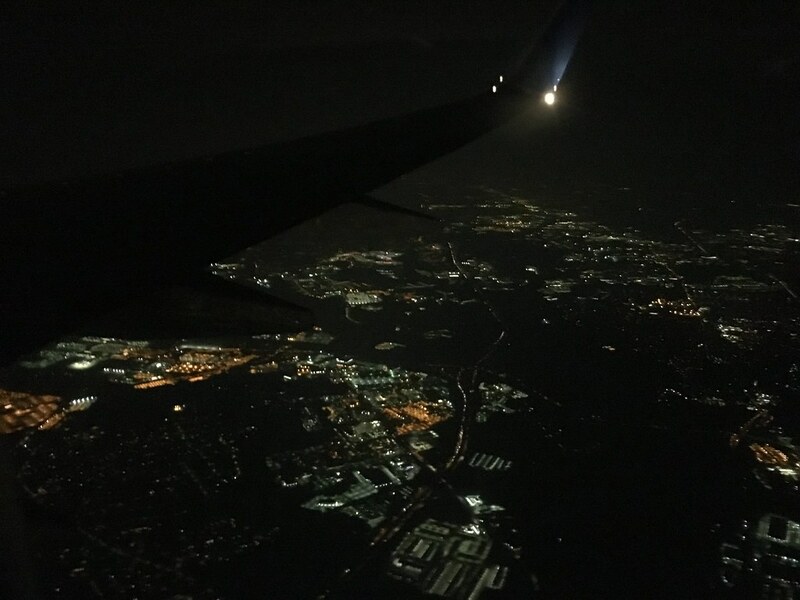 There were some nice views of the city of Baltimore at night. 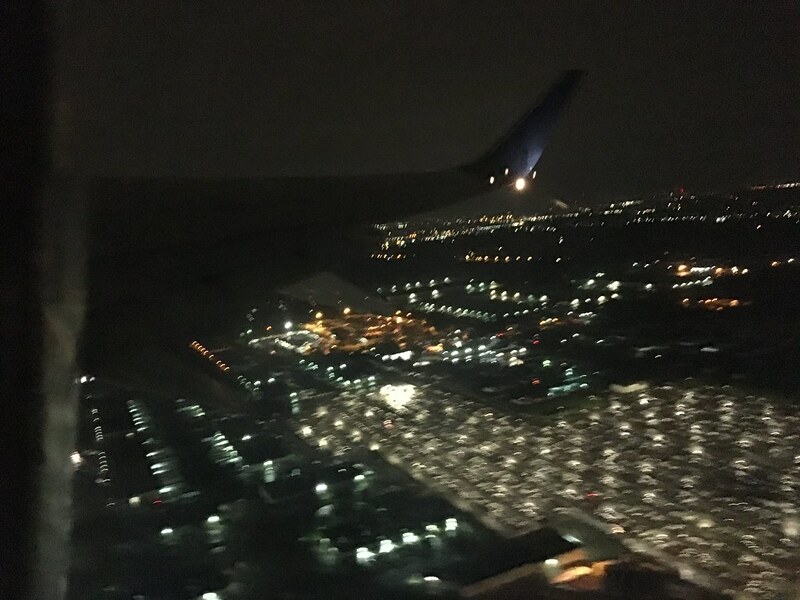 We flew past BWI’s Thurgood Marshall heading east and then turned north-west for landing on Runway 33L. 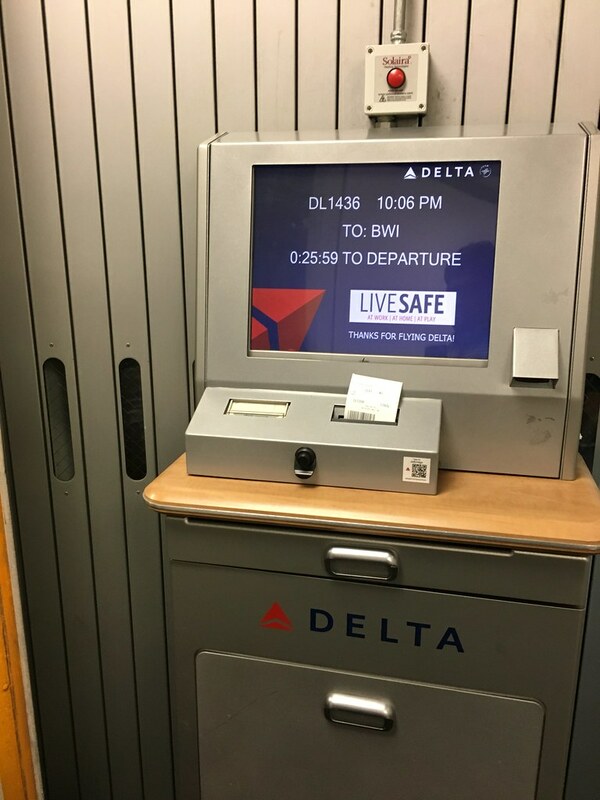 It was an almost 10 minute taxi to Concourse D which Delta uses at BWI, a Southwest Airlines hub. 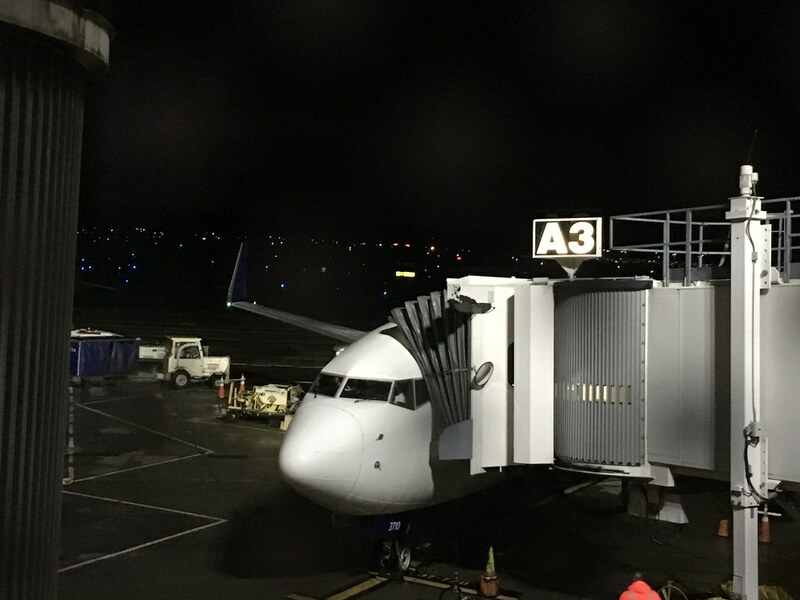 De-boarding took a while, too long for a Boeing 737-800 and I was finally out of the aircraft at 23:50. The airport was very quiet at this time with very few arrivals and departures. I followed the Rideshare signs to the departure level to wait for my Lyft cab. The driver, a friendly native of Myanmar gave me a wonderful ride to the town of College Park while describing his story of immigrating to the US several years ago. 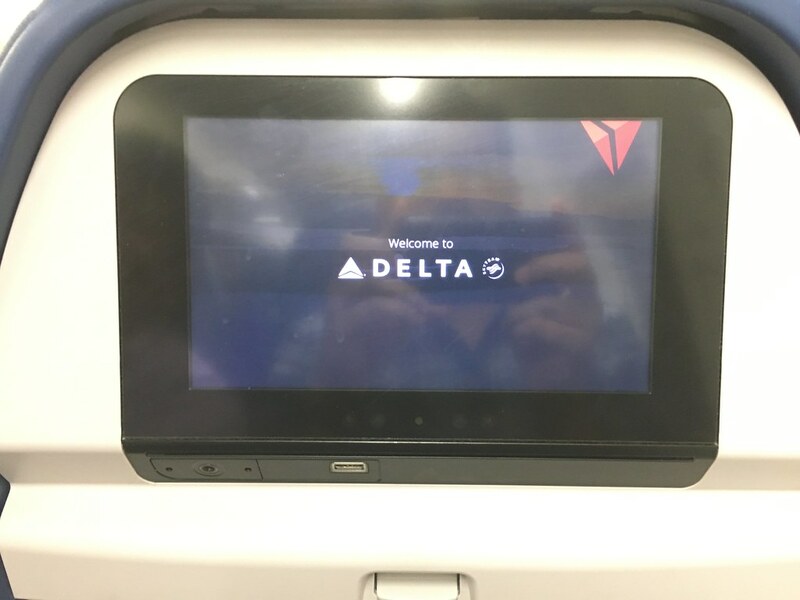 The experience on Delta was ok. 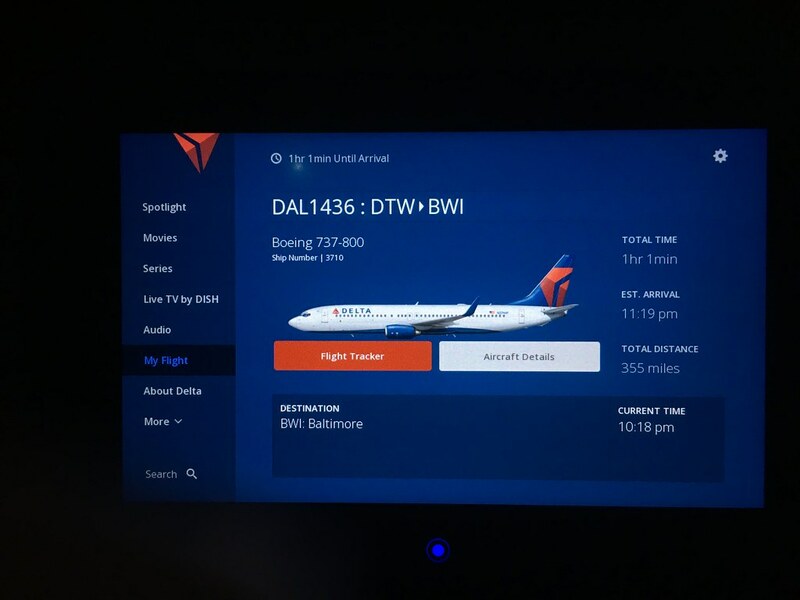 Very efficient, friendly crew and an early arrival in Baltimore, but a cabin that was borderline nasty was not something I expected from Delta. This is something that I have noticed, in varying degrees of nastiness, on some of my flights. They really need to pull up their socks in this department. I was looking forward to spending the next couple of days in the Washington DC area before returning to DTW. Part 2, with some pictures from a very enjoyable plane spotting experience will be out soon! The destination took me back to 2005. I had undertaken journeys from College Park to DTW through DTW, so reading this was quite memorable for me. And yes, I was in College Park till September, so the airport had not been renamed till then. 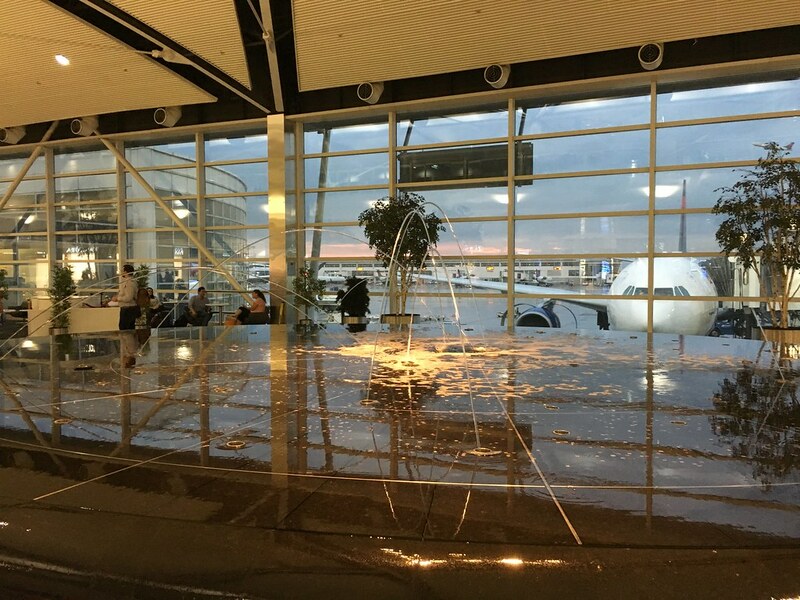 It was simply Baltimore-Washington International. 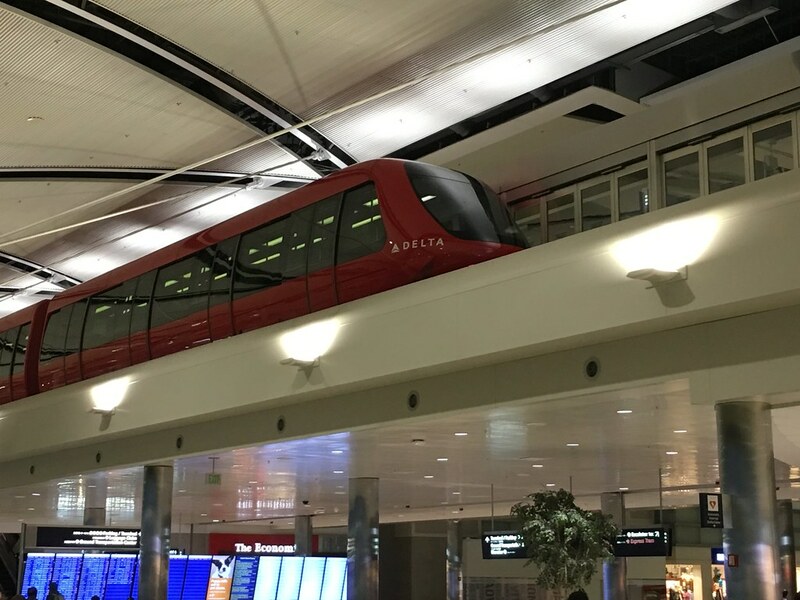 The DTW terminal train is an interesting feature! Haldiram's sweets triggering an alarm! Ha ha! Do they have marble powder detectors? I look forward to rekindling my memories with more from you, on this trip. Great TR thanks for sharing. - nice pics of the DL wide bodies. - I really liked DTW and the skytrain, altho the last time I was there it was NW territory. Thanks for your reply Sir! Yes, the airport was renamed in Oct 2005, just a month after your stay in College Park. The DTW terminal train is very useful. 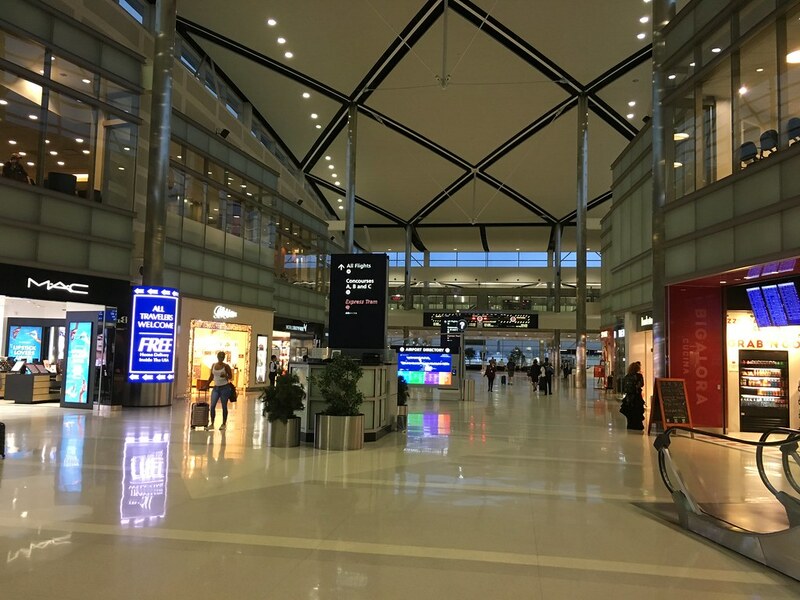 Only a few stops, but pretty quick and convenient when your connecting flight is at the other end of the airport. The Haldiram's Box: Haha! Must've been the Aluminum seal on the box. 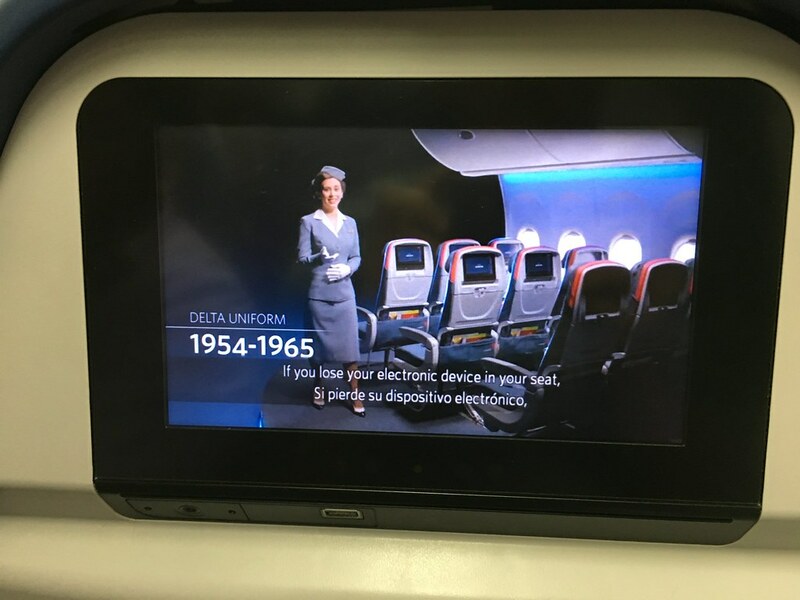 The DL IFE system is good,good choice of movies, LiveTV etc. Thanks a lot for your reply . Glad you liked the pictures! Yes, the skytrain back in the NW days had the NW logo. Now everything's Delta.